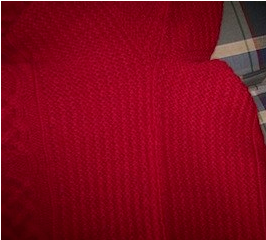 and the width of the sweater grew several inches, just as my swatch predicted. which is my favorite. It is a very neat finish, and I don’t have to worry that my cast-off will be too tight or that the opening won’t fit over the wearer’s head. 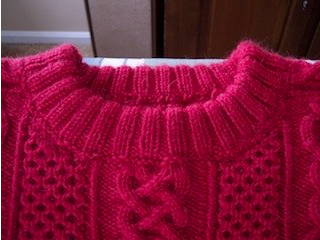 Note that I did a purl round after picking up the neckband stitches and before starting the 2 x 2 ribbing. 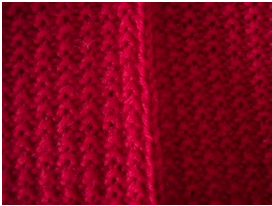 I also included a “seam” stitch which was originally a knit stitch every round. 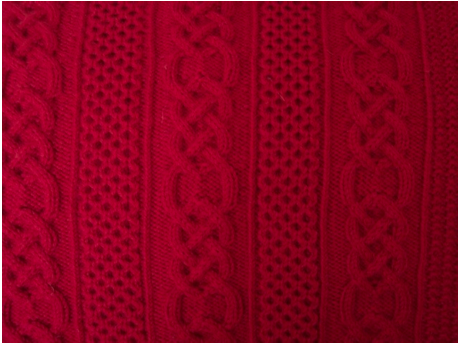 This technique involves alternating between drawing one thread, then two threads through the loop. The resulting “seam” is far more flexible than I was expecting and it looks very neat. Now that St. Enda is done, I’ve been working on my Adult Surprise Jacket (No pix. Sorry.) And also on a scarf to match the We Call Them Pirates hat that I made for Joe of the Chariots of Iron podcast. 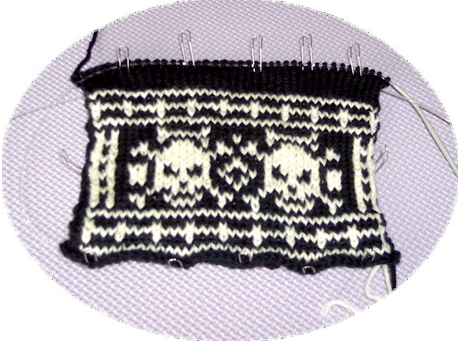 I’m planning to do a Norwegian KAL that starts January 1st. 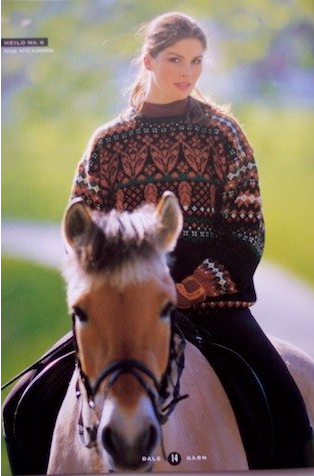 I’m making the Dale of Norway Foxes sweater. 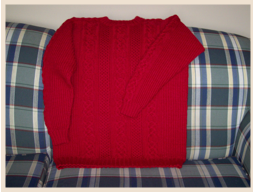 I bought the pattern and yarn a couple of years ago when I was doing the North American DoN KAL. For that KAL I made Gjende. Needless to say, it took me a long while to finally finish Gjende. I think Foxes will be completed a lot more quickly. I’m no longer afraid to cut the armhole openings. LOL Anyway, before I start Foxes, I need to do a gauge swatch, so I’m going to make a hat in colors to match the sweater. The hat should take only a couple of days to complete, so I’ll probably wait until the end of December to start it. In the meantime, I’m going to try to finish the scarf and the ASJ, and maybe I’ll work on some socks.